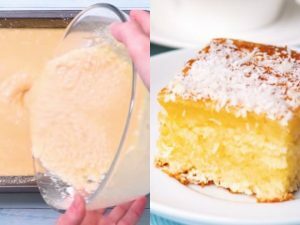 Bombocado: the brazilian coconut cake you must try! Try this amazing brazilian dessert, you’ll surprise all your guests. 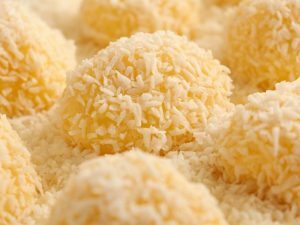 Bombocado is a very delicious brazilian dessert with coconut and parmesan cheese. It’ so simple to prepare: make the batter and pour it into a baking tray, then cut as squares and serve! Ingredients: 100 g shredded coconut; 50 g grated Parmesan Cheese; 4 eggs; 1 1/2 cups flour; 1 tbsp baking powder; 2 1/2 cups sugar; 500 ml milk. 1. Mix eggs with sugar, add parmesan cheese, coconut, milk and combine. 2. Add flour and baking powder, mix until combined. 3. Grease the baking form and sprinkle it with flour. Pour the prepared dough into the form. 4. Bake at 180°C/350°F for 40 minutes. 5. Let it cool and sprinkle with coconut flakes. 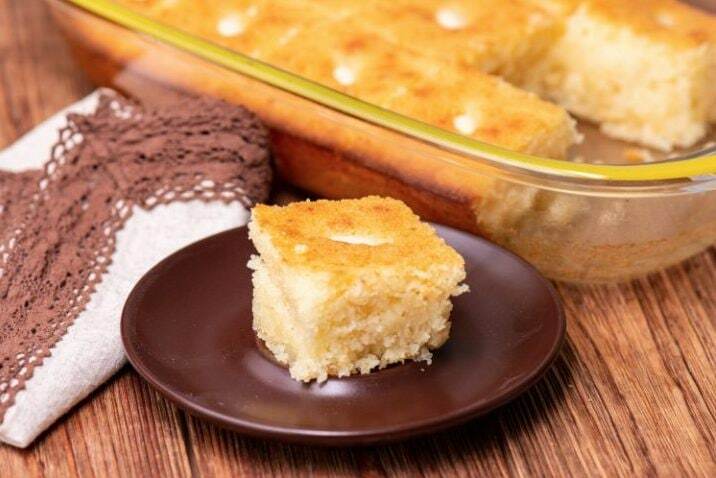 Ingredients: 1½ cups Coarse semolina, ½ cup Fine semolina, ⅔ cup Sugar, 2 tsp Baking powder, 1 cup shredded coconut, 2 Eggs, ⅔ cup Unsalted butter (melted), 1 cup Yogurt, 2 tsp Vanilla extract, ½ cup almonds. Syrup: 2 cups Sugar, 2 cups Water, 1 Tbsp Lemon juice, 2 tsp Rose water. 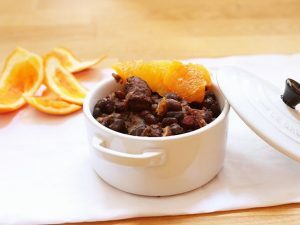 1)In the medium saucepan, combine the sugar, water and lemon juice. Boil for 10 minutes. 2)Add the rose water and mix well. 3)Add the almonds to the boiling water for 1 minute and then drain and rinse with cold water. Peel the almond. 4)Combine all the ingredients for the dough and mix well. 5)Transfer the batter to a 9″x13″ buttered baking pan. 6)Chill it for 1 to 2 hours. 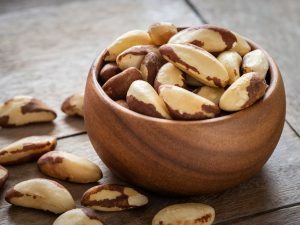 7)Add the blanched almonds on top of each square and bake for 40 minutes at 380°F/193°C. 8)Pour the syrup on top of the hot cake and bake for 15 minutes more. 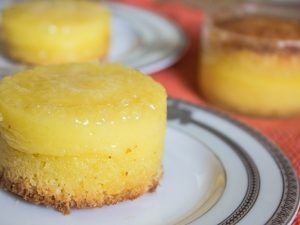 Quindim: This is a very popular and loved Brazilian dessert!